The mission of the Division is to improve human health and public welfare by promoting the understanding of chemical mechanisms that govern disease processes and the toxicity of drugs, environmental agents, and endogenous chemicals. This will be accomplished by (1) providing a forum for communicating research in the field of chemical toxicology; (2) encouraging further research into chemical mechanisms of toxicity; (3) providing a rigorous scientific basis for risk assessment; (4) providing continuing education, leadership training, and career development opportunities for our fellow chemists; and (5) sponsoring with other societies and divisions, symposia and other programs of mutual interest. Topics in Chemical Toxicology, in which experienced investigators will present short talks. Trevor Penning has won the 2019 Founders’ Award. 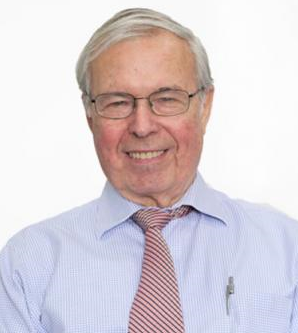 Trevor Penning is currently Thelma Brown and Henry Charles Molinoff Professor of Pharmacology Molinoff Professor in the Department of Systems Pharmacology & Translational Therapeutics at the University of Pennsylvania Perelman School of Medicine. He is also Director of the Center of Excellence in Environmental Toxicology (CEET). He belongs to the Johns Hopkins Society of Scholars and is a Fellow of the American Chemical Society. Trevor has provided outstanding and sustained service to the Division of Chemical Toxicology. He was Program Committee Chair (2 years); Chair of Division (2 years); Chair of the Awards Committee (2 years); and he has been a member of the Executive Committee (8 years); a Symposium Organizer and regular Symposium Speaker. He was also a chartered member of the Cancer Etiology Study Section at NIH for 5 years and provided grant review service to the Division of Toxicology members in this role. He is now Senior Editor for Cancer Research for Population and Prevention Science. He has been a member of two working groups at IARC, which re-assessed the carcinogenicity of PAH, and diesel exhaust. 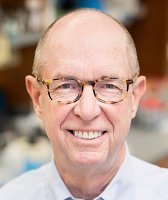 Trevor Penning will be honored at the American Chemical Society Meeting in San Diego this August with a Symposium in his honor. Larry J. Marnett, Vanderbilt University. Sturla, Professor of Toxicology at ETH, Zürich, and the new Editor-in-Chief of the journal Chemical Research in Toxicology, succeeds me in this position for a two-year term. It has been my pleasure to serve in that capacity with some wonderful people in the TOXI Executive Committee and the membership who generously gave their time and energy to foster the interests of our Division. This past year, the annual meeting of the TOXI Division was held in historic Boston. The highlights of the meeting are discussed in the most recent TOXI Newsletter. Here, I will focus on other divisional news and activities. In conjunction with the Division’s Executive Committee, we restructured the appointment schedules of our Program Chairs who have the responsibility of organizing our annual scientific meetings. These meetings represent one of the most important activities of our Division. They offer us opportunities for learning about different topics in chemical toxicology, and to meet face-to-face with colleagues and friends to discuss topics of mutual interest. Even those who are unable to attend these meetings, can view the program listings online and browse through ~ 90 – 100 TOXI abstracts. Tom Spratt has been the Program Chair and organizer for the past two TOXI meetings (2017 and 2018), and will continue in this position for another year in 2019. A Program Committee consisting of five senior TOXI members assists the Program Chair in planning the contents of the meetings and to offer other advice as necessary. This year, the TOXI leadership decided to reorganize the appointment schedules to ensure the smooth transitions from one Program Chair to another. Two Program Chairs have been appointed: Penny Buening (2020-2021) is Professor of Chemistry and Chemical Biology and Northeastern University, and Michael Trakselis (2022-2023) Is Associate Professor of Chemistry and Biochemistry at Baylor University. These early appointments ensure the continuity of this most important science programming activity at least until the end of 2023. Each Program Chair will serve as the Program co-chair in the preceding two years in order to become familiar with the demands of this position before they assume the full responsibility that comes with it. One of the important and ongoing efforts of our Division is to include a larger cross-section of the members in leadership activities and functions. In order to better engage younger members in the affairs of our Division, a Program Development Committee (PDC) was organized. The PDC members are appointed (11 members) that include Ujjal Sarkar (AstraZeneca) who helped me to organize this Committee. The new PDC committee has already made significant contributions by suggesting topics for future annual meetings, and by helping Tom during the 2018 meeting in Boston; they chaired some of the sessions, and helped to select the best poster and oral presentations at the Young Investigator Symposium. Thanks to a generous donation from Fred and Suan Beland, the TOXI Division was able to partially support the travel of eight young investigators (graduate students and postdocs) to the 2018 TOXI Boston meeting. In closing, I extend my best wishes to Shana for a successful two years as TOXI Chair. I am sure that she will be very successful. I look forward to serving these two years as the Past Chair and as a member of the Executive Committee. The candidate will serve as Chair-Elect in 2019-2020, Chair in 2021-2022, and Immediate Past-Chair in 2023-2024. 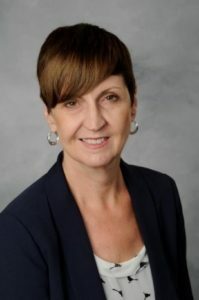 Natalia Tretyakova is currently McKnight Distinguished University Professor and Director of the Epigenetics Consortium at the University of Minnesota-Twin Cities. 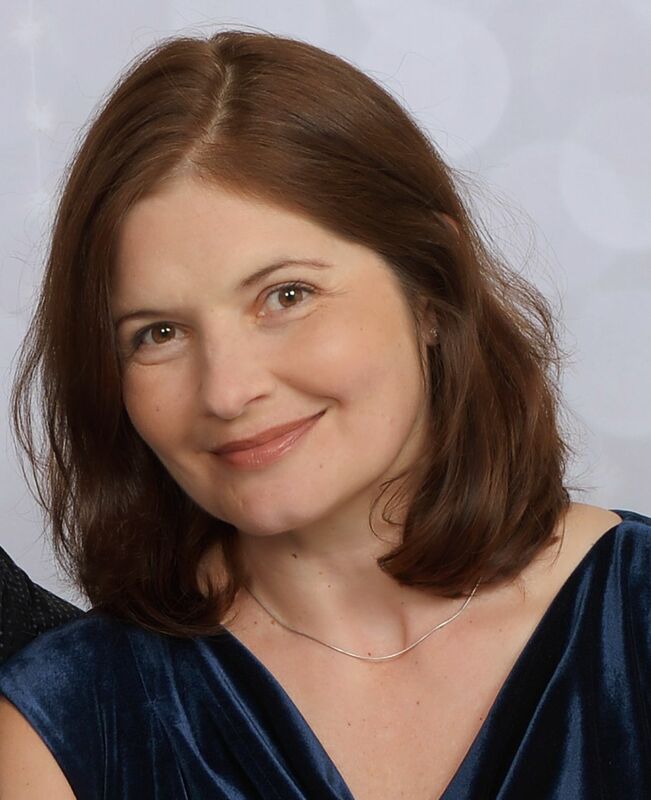 Dr. Tretyakova’s research in chemical toxicology is primarily focused on chemical carcinogenesis, DNA-protein cross-linking, and epigenetic effects of environmental exposures and inflammation. She employs mass spectrometry based methodologies to investigate the mechanisms of epigenetic deregulation and cancer causing mutations associated with environmental exposure and lifestyle factors. Prof essor Tretyakova has pioneered novel methodologies to detect DNA damage, evaluated the ability of altered DNA bases to induce genetic mutations, and developed DNA based biomarkers of cancer risk. Her work has advanced our understanding of the role of DNA damage in human disease, informing future strategies for improving human health. Dr Tretyakova published 112 peer-reviewed publications and She mentored over 22 Ph.D.s and 15 postdoctoral fellows. She just finished her term as Treasurer of the ACS Division of Chemical Toxicology. The candidate will serve as one of the three Members-at-Large on the executive council for a three-year term. 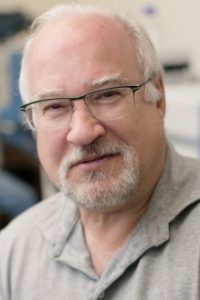 Robert Turesky is a Professor in the Department of Medicinal Chemistry and Director of the Masonic Cancer Center’s Analytical Biochemistry shared resource (2013 – present), a mass spectrometry facility devoted to the cancer and chemoprevention programs at the University of Minnesota. Dr. Turesky received his B.Sc. in biochemistry from the University of Massachusetts, Amherst, and PhD in nutrition and food science from M.I.T. Prior to this position, Dr. Turesky was Group Leader of the Biomarkers Unit, Nestlé Research Center, Lausanne, Switzerland (1986 – 2000); Division Director of Chemistry, National Center for Toxicological Research, U.S. Food and Drug Administration, Jefferson, AR, (2000 – 2004); and Principal Investigator, Wadsworth Center, New York State Department of Health (2004 – 2013). His research is focused on the biochemical toxicology of dietary and environmental toxicants. He has developed mass spectrometric-based methods to measure biomarkers of these genotoxicants designed to understand the role of chemical exposures in the etiology of human cancers. Novel technologies and MS-based approaches have been established to identify DNA adducts of carcinogens in formalin fixed paraffin embedded tissues and exfoliated urinary cells, two biospecimens largely underutilized in cancer biomarker research. These bioanalytical approaches are expected to provide important new data on the chemicals that damage the genome and contribute to cancer etiology. He has published more than 200 scientific papers in leading journals and book chapters. 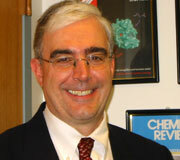 He has served as Secretary of the Division of Chemical Toxicology (2001 – 2002) and Member at Large (2013 – 2015). He has been a member of the Editorial Advisory Board of Chemical Research in Toxicology 1996 -2002, 2010 – present). Now is the time to nominate members of the Division to become ACS Fellows. These nominations can be made by individuals or by the TOXI Division. Divisional nominations made by the Chair of the Division are limited to no more than 4.
has provided excellent volunteer service to the ACS community. Travel Awards to the 258th ACS Meeting in San Diego. Travel awards for students and post-docs will be available for the TOXI Program at the ACS Meeting in San Diego. The students and post-docs will receive up to $750 to help pay for their travel expenses to the ACS Meeting. 1. A nomination letter from the faculty advisor or laboratory director. The letter should explain why Travel Assistance Award funds are needed. 2. A curriculum vitae for the applicant. 3. The abstract for the work to be presented by the nominee at the meeting. Applications can be submitted to Dr. Thomas Spratt at tes13@psu.edu by May 1. John Essigmann will present the Keynote lecture on Tuesday afternoon, August 21, 2018 during the TOXI program at the American Chemical Society National Convention in Boston. John is the William R. (1956) and Betsy P. Leitch Professor in Residence of Chemistry in the MIT Department of Chemistry. He is also Professor of Toxicology and Biological Engineering in the MIT Department of Biological Engineering. In addition, he is Director of the MIT Center for Environmental Health Sciences. 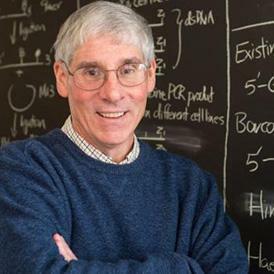 John earned a BS in Chemistry at Northeastern University and a PhD from MIT under the direction of Gerald Wogan, a pioneer in the field of chemical toxicology. The overarching theme in John’s research is to understand how DNA damage leads to cancer and cell death. In particular, he strives to understand how the chemical and physical properties of specific DNA adducts lead to mutagenesis or cell death. He then uses this knowledge to design antitumor drugs in a process described as Fatal Engineering. John’s lab was the first to synthesize and insert a single DNA adduct at a specific site in DNA in a cell. This revolutionary process has lead to his lab and, many others, probe the effects of specific DNA adducts to mutagenesis and lethality. In addition, the DNA damage response to these adducts have been identified. John’s has used the knowledge gained in his mechanistic studies to design programmable antitumor drugs through a process described as Fatal Engineering. The Essigmann lab exploits the presence of tumor specific proteins, so that repair of the DNA adduct derived from the drug will occur in normal cells but fail in tumor cells. Thus the programmable drug kills tumor but not normal cells.